Valentines day produces images images of flowers and chocolates. What if you could produce the same sensations in beer. 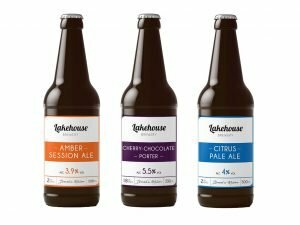 With a valentines day discovery craft beer box you can enjoy beers with a rich chocolaty taste in the porter or light flowery tastes in the IPA’s. The culinary delights shine through the range of flavors that are released from the craft beer. Valentines day is an opportunity to show someone how much you care. However why stick to just the usual traditional gift. Give that special person something that will light their inner flame and allow them to taste a world of exotic flavors on a journey of discovery. The choice of eight different beers will give everyone that opportunity to experience a range of tastes to delight the palette. Show someone how much you love them by subscribing to a world of beer discovery and fall in love with a different set of beers each month. 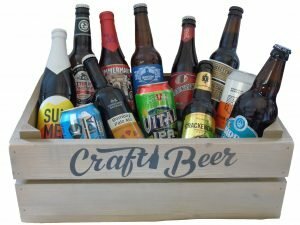 The Crafti Beer box contains 8 or 12 different beers that open a world of craft beers. The valentines day box offers a set of beers that combine the love of chocolate and the opportunity to explore beers that compliment the meal of choice for that someone special. With no requirement to purchase a minimum number of cases you can come explore the world of craft ale at your own pace. However we are confident that you will love the taste and varied mix of our beers so much that you will want to return for more. Don’t delay and miss the big day. Take the plunge into a world of craft beer discovery and purchase your first box today.